Farai Chideya brings the human experience to life in all media forms. Her ability to see around corners has led her to consistently engage in new technologies. For example, she launched her first blog, Pop and Politics, in 1995, and has covered topics well before they became mainstream, such as in her 1999 book The Color of Our Future, which saw the evolution towards a "majority-minority" America long before it made the cover of Time. In the past, she has been an award-winning reporter for Newsweek; a political analyst for CNN; a reporter and guest host for ABC News; and a host for NPR. All the while, she has produced digital content and both nonfiction and fiction books. She is a graduate of Harvard University, and returned there as a Spring 2012 fellow at the Institute of Politics at the Kennedy School of Government. 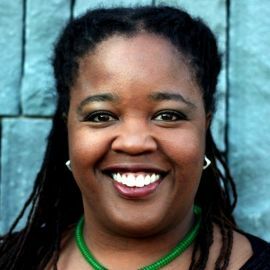 After a career that led her through adventures such as flying on Air Force One, being stalked by the secret police in Zimbabwe, and covering every U.S. election since 1996, Chideya has become truly her own media, consulting, and entrepreneurial brand. 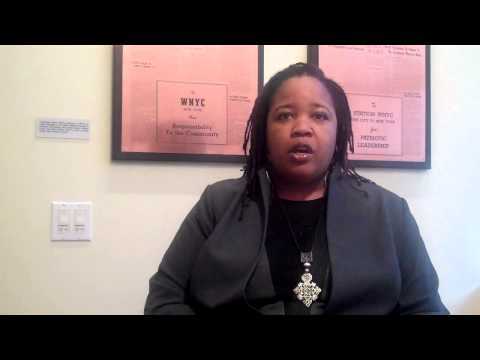 She is currently a contributor to New York Public Radio, and a frequent guest on such cable channels asMSNBC. She is the Distinguished Writer in Residence at New York University's Arthur L. Carter Journalism Institute, where she teaches radio. She recently completed a book, co-authored with Vivek Wadhwa, on women in the technology industry called Innovating Women, and is finishing a new book, The Right Work, advising Americans how to proactively deal with job volatility and the shift from linear to episodic careers. Chideya also serves as an advisor to several nonprofits and for-profit startups. Chideya, the daughter of an American mother and a Zimbabwean father, has always been immersed in global culture. Her family in the U.S. were free black American farmers and carpenters during and after the era of slavery, and over the years have had a strong tradition of military service in virtually every conflict from the Civil War to Afghanistan. She learned from her family that having strong and even opposing political views among members does not mean you cannot love and respect each other. This is a trait she wishes was more apparent in today's civic discourse. Could you imagine your job not only paying your bills, but enhancing your quality of life, and fitting in line with your ethical beliefs? It's not only possible; it's probable -- if you have the right tools. For many people, work seems like an emotional dead-end, or even worse, an ethical or health quagmire. Without sugar-coating the challenges facing Americans, Farai Chideya leads an economic overview and a searching self-analysis that can make you a winner not only financially, but in terms of life/work/family balance and health. What Happens to Equality When We're All Minorities? As the daughter of an African father and an American mother -- a mother who had served in Morocco in the Peace Corps before marrying and starting a family -- Farai Chideya understood the world was vast from a very young age. Unfortunately, in a time of global economic turmoil, xenophobia within and between nations has become common. As someone who has visited 25+ countries and 45+ U.S. states, Chideya explains why the diversity within America's borders uniquely prepares us for global leadership, and how to proceed with a sense of optimism rather than fear about our increasingly global society -- connected not just by geopolitics, but by pop music, social media, and innovation. 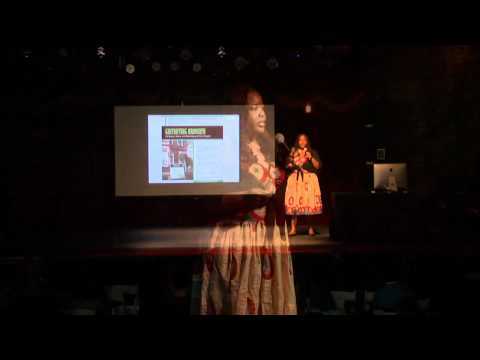 In her 25 years as a journalist and social analyst, Farai Chideya has often anticipated technological and societal shifts that affect us today, from the rise of online communities in the 1980s that presaged today's social media; to the shift from a black-white axis of race in America to a multiracial contemporary reality. For any business, institution, or even individual, being able to cultivate a sense of realistic "near-futurism" is key to remaining engaged in issues without being bogged down with them. Chideya explains how to filter the barrage of data that comes to us every day via media, to search out reliable sources, and to develop a key ability to follow trend lines that point us to more optimistic and healthy outcomes, be they entrepreneurial or personal.